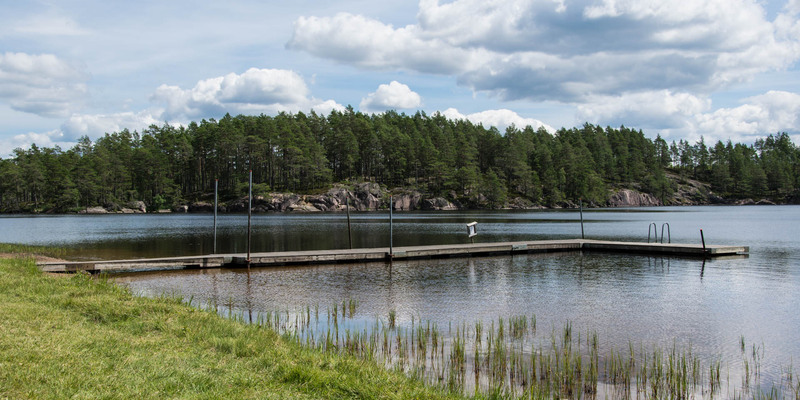 Stora Hammarsjöns Badplats is a large and secluded bathing place at the lake Stora Hammersjö in the middle of a large, sparsely populated forest area in a triangle between the towns Hultsfred, Målilla and Järnforsen. 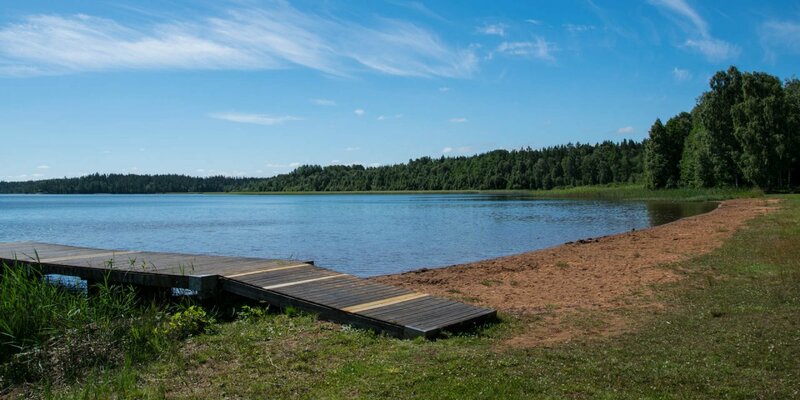 The bathing spot at the northern end of Stora Hammarsjön, which covers about 1.4 square kilometres, consists of a narrow beach and a large sunbathing lawn. If required, some trees provide sufficient shade on the south-facing bathing place. 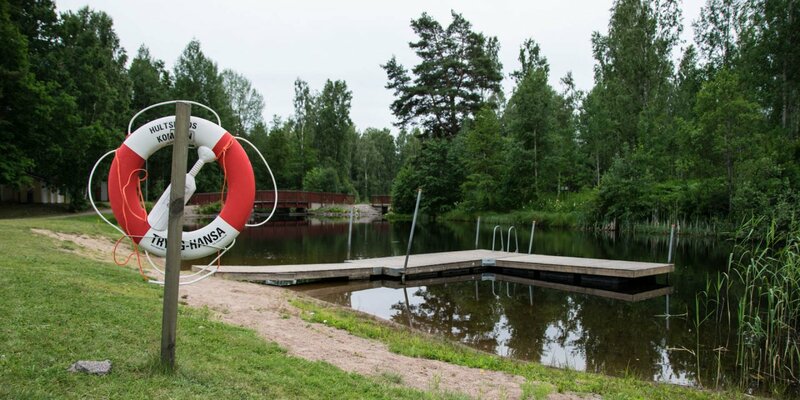 The equipment of Stora Hammarsjöns Badplats consists of an L-shaped bathing bridge, toilets, a barbecue area, a playground and a dressing shed. For small children who are not yet able to swim, the bathing area is only recommended to a limited extent, as the water on the shore quickly deepens. 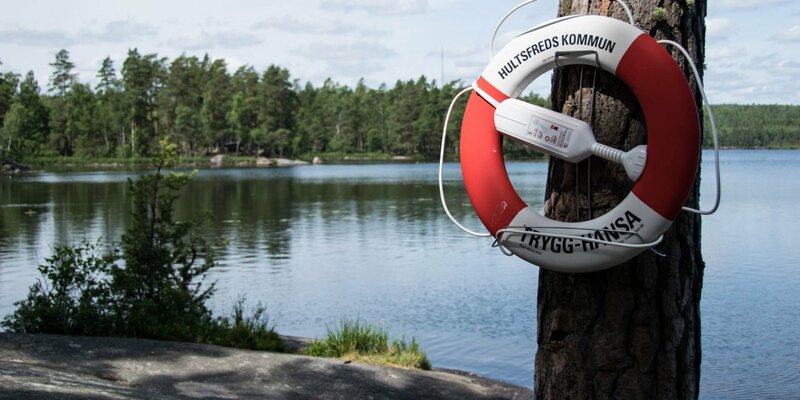 Next to the bathing spot is a small camping site and the whole area around the lake as well as the adjoining nature reserve Björnnäset is a popular area for long walks in untouched nature.